When it comes to data privacy, it can be quite a complicated process to determine what your needs are and what regulations are applicable to your business and clients. This is especially true for countries such as Canada, where data privacy is a priority and therefore also heavily regulated. We’ll be taking a closer look at how these regulations are applied, what they mean for Canadian businesses and how these laws are incredibly beneficial. In Canada, the data privacy rules and regulations depend greatly on the sector of business you’re in, followed by your location. The two sectors involved are the private sector and the public sector. In terms of the private sector, these businesses are subjected to the Personal Information and Data Privacy Act, also known as PIPEDA. This enables them to go outside of Canada for the processing and storage of personal information, provided that appropriate contractual and security safeguards exist, in addition to customers having been given notice. Within the private sector, the province of Alberta takes the required notification of customers a little further by also demanding that businesses who chose to outsource Canadian data inform customers of how to secure information on the service provider’s practices and policies. Within the public sector, much of the laws put in place have to do with data localization in an attempt to discourage companies from outsourcing. The provinces of Nova Scotia and British Columbia, in particular, placed limitations on how such outsourced data can be stored and accessed. The reasons for Canada’s focus on the location of their data stems from the concern over the ability of foreign law enforcement agencies to gain access to their citizens’ data without giving notice or obtaining consent, an example being the USA Patriots Act. Ultimately, what these laws and regulations mean for Canadian businesses is that, should they decide to process and store data outside of Canada, they will be responsible for ensuring that the correct measures are in place to meet the requirements of the legislation, particularly if they are in the public sector. These responsibilities are extensive and are to be clarified between the Candian company and their out-of-country provider. For example, some of the methods Canadian business are encouraged to employ with their provider involves establishing service level agreements (SLAs) that transparently and definitively outline the desired and mandated security and privacy measures. Another approach comprises of regular reporting in order to manage legal requirements such as the mandatory reporting of any incidents that had the potential to put data at risk, including any direct breaches. Regularly assessing risks through the performance of audits and reviews is also encouraged. While some Canadian businesses may feel burdened by the regulations put in place, the benefits of them are twofold. The inherent benefactors are Canadian citizens. Their data, be it held publically or privately is among some of the most safeguarded and regulated in the world, comparable to that of the European Union. This is what brings us to the secondary benefit, affecting Canadian cloud providers. As a result of Canada’s data privacy legislation and since the establishment of the General Data Protection Regulation by the EU in May of 2018, Canadian cloud providers are amongst the few that meet European data privacy standards, enabling them to service European companies while other countries, such as the United States, cannot. 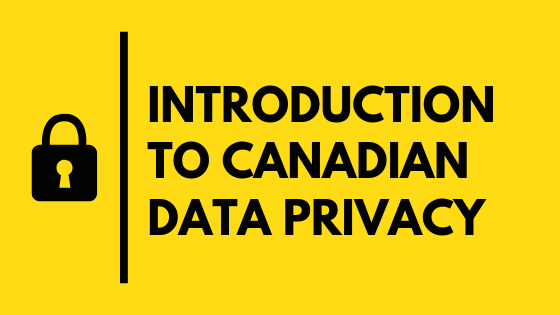 Fundamentally, Canadian data privacy laws and regulations place a large focus on data localization, encouraging the data of Canadian citizens to remain within the country. However, it does permit companies in both the private and public sectors to outsource the processing and storage of Canadian data. The caveat being that contractual and security safeguards are put in place meeting the Canadian legislated requirements. These enstated laws not only protect Canadian citizens but also make Canada one of the most regulated countries in regards to data privacy, opening up international opportunities with the EU in terms of cloud solutions.